As much as I hate to do this � here it goes. I have just way too much on my plate and hate to see this car sit here without getting the attention it deserves. Plus I just dropped some coin on a towing vehicle for the rat. 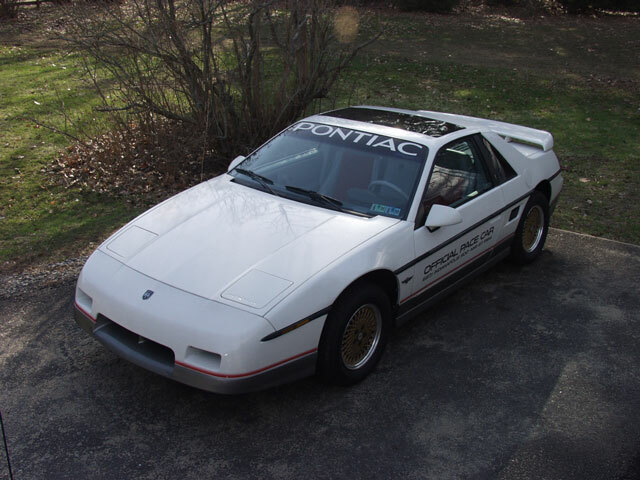 * 1984 Indy Pace car � under 19,000 ORIGINAL miles. 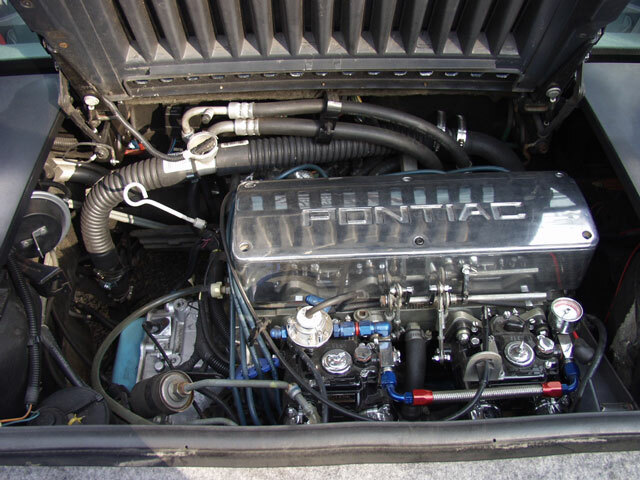 * 3.3 Liter SD 4 built to Vanderley specifications. Prior owner claimed 300Hp. Dual sidedraft Webbers. * The car is in nearly mint condition. Rims � Has gold lace rims. The rest of the car is original. The motor will need a gear reduction starter custom machined to fit as the compression of this engine tends to break the snout off of the aluminum factory starter. Car does not currently run because of the above mentioned issue. I have all the original paper work for this car and motor. Car has been garage kept most of its life. I have all the receipts and build sheets for the motor. I will pass along to the new owner 2 folders worth of receipts and build sheets. This car was to be an original Indy clone. I hate to do this but I just don�t have the time to play with this toy and hate to see it sit. Was asking $8500. $6500 No trades please. I can deliver this car within a 400 mile radius for a fee with payment for the car in full. Contact me at reneenrob@bellsouth.net with any questions. Below are some pictures of the Indy. Please elaborate on starter issue. Can it be started now to test? BTW price for the car is "AS IS". If I was to get it running and drivable, I would be asking 2-3 grand more. Were located in Frankfort, KY for those interested. As far as the starter issue goes - there is no one that makes a high tourqe starter for the SD4. The SD4 blocks that Kansas racing sells are drilled for a standard V8 starter. This block is not, so there are 2 options - take the motor out, reweld the starter holes and have them redrilled for a V8 high torque starter or have someone machine a starter block that will fit this engine block. I have a prototype that someone tried to make. It was made by a machine shop and I do not know how well it will fit as it looks like something done in a backyard with a hack saw. I was going to make another using this one as a guide but like I said above - don't have the time to screw with it. Common - you know you want it! Still interested just have not had time to discuss it yet. Just wondering, with that high compression, will this thing run on Premium pump gas? Or does it only drink high octane VP racing fuel? I was told race gas only, but planned to bump the compression down a bit to get it to drink pump gas. 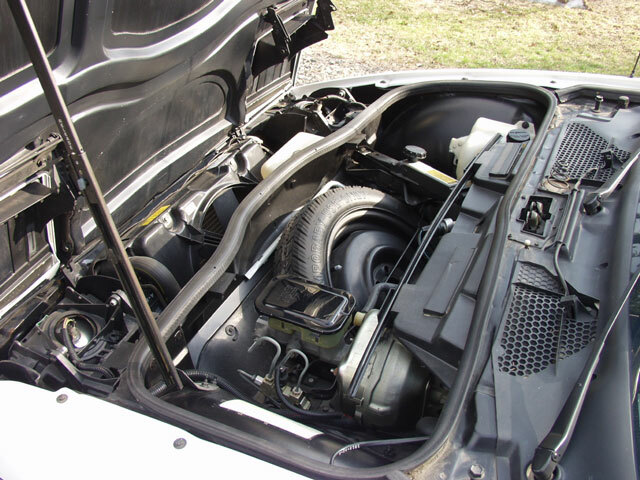 What's the mechanical condition of the engine (mileage etc.)? I get the impression that because of the starter problem, you've not been able to drive this car lately or even had the engine running. Did you get a chance to drive this car at the time you bought it, and what were your impressions of the engine? I have not had the car runnig since I bought it. I have had the valve cover off an everything looks like new. The motor has moroso gold needle bearing rockers with titanium valves. Like I said, I have all the build sheets and the engine build alone was over $10,000. The prior owner said that he had this engine in a autocross car that he ran for one season, and never really flogged because of the $$$ he had invested in it. I have no reason to doubt him. That's unfortunate that you've never even heard the engine running. It doesn't take many miles to blow an engine. For all you know it could have a spun bearing or blow oil out the exhaust - you honestly would not know. And there's no record at all of how many miles were put on that engine? I'd expect he had the mileage written down somewhere before he pulled the original engine. If a shop installed the engine for the previous owner, there should be a date and mileage on that invoice. Perhaps you just haven't seen it. I'd really be interested in that information if you could find it. I highly doubt that he would go through the trouble to transplant an engine that was "blown" . The individual I bought the car from was reputable and I no reason to doubt what he told me. The motor has not been run since it was in the Indy. It used to be in another fiero autocross car. Like I said it was ran for one autocross season, he then decided to pull it and put it in the indy and build an original Indy clone. The motor is spotless and the carbs haven't had any fuel in them since it was put in the Indy (they were rebuit during the transplant). The motor was shop built but the installs have been done by the previous owner. Regardless, even if the motor needed a rebuild (which is DOES NOT) this is a hell of a deal. You couln't touch the SD4 parts alone for the price I'm asking for the whole car. I was at one point going to invest in the cosworth head - Now that would have been a screamer! I located one and just couldn't justify the cost for a project that I just don't have time for. But its like this - If it dosen't sell - then it will sit in the garage till I have the time. Who knows - might be worth my time to get it running after all. BTW the individual I bought the vehical from was not a back yard mechanic with no funds. Thank you for clarifying with more details. It misread something and it SOUNDED like the engine was installed in the Indy, and the INDY was autocrossed for one season and the car was sold to you afterwards. I thought that seemed odd. What exhaust system is on the car? Totally custom I expect? bump for that setup, that sounds like a one of a kind. Trying to figure out how to afford this. Or more to the point justify affording this. If you mothball it maybe I will be able to do something in a couple more months easier than now. I find it odd that the previous owner would install that engine with an automatic. I doubt a high-strung engine like that idles at 900rpm, probably more like 1500. Did he install a high-stall convertor to avoid it slamming into gear from neutral? If he did whats the stall rate, and is it also a lock-up convertor to get rid of that "slipping clutch" feel when cruising? chester are you the guy that owns dirty rat? I have no idea about the torque converter. If car don't sell here it will be advertised via other venues. I figured I'd give the true Fiero nuts a crack at it. Trying to figure out how to afford this. Or more to the point justify affording this. Don't have that problem. Just having trouble finding a transport that will ship a non-running vehicle. Apparently, it becomes a real pain to load and unload on trucks and trains. There's only so many transporters that do cross-border shipping of cars, so I only have a few more to check with. I would have loved to deliver it to you but your just a little too far from me. I guess you're out?? 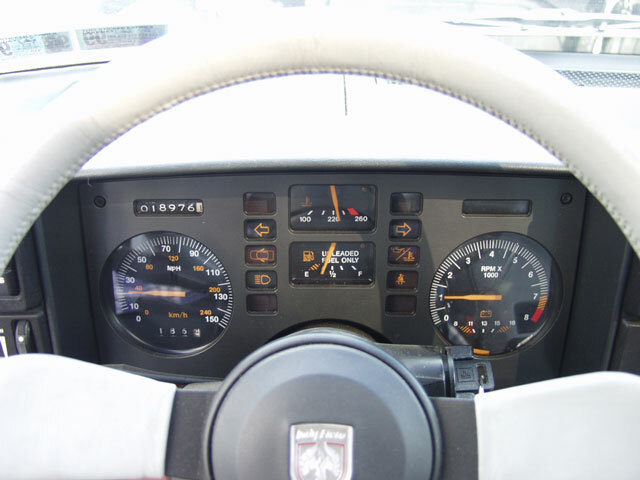 I'm considering buying a Canadian Fiero and having it transported down to Nevada, where I am. Can anyone recommend a couple options for companies that provide this service? Bump back to where this needs to be. Freedom isn't Free, it's paid for with the blood and dreams of those that have gone before us. My imagination is the only limiting factor to my Fiero. Well, there is that money issue. Hmmm, maybe I should part it out? When I emailed you, you stated you didn't have the time or inclination to install a hi-torque Tilton starter. When would you have the time or inclination to part out the car? Parting her out is NOT an option! Chester was just trying to make light of this. We really thought long and hard about this, but, between the Rat and my blue GT and now me facing ANOTHER surgery within the month, we just need the $$ more than we need the car. We want the Indy to be enjoyed, not just sit here and wait. It was really a hard decision, but we want to see her enjoyed, not just sit; and sit; and sit... So PLEASE, if someone wants a rare, awesome car to enjoy and show off, check it out! If you need more pics, let us know. Thanks for looking!! I hope your surgery goes well and you have a speedy recovery. If I had the money I would be seriously considering this car, it looks fabulous and the mechanical issues should be fairly easy to sort out. I hope you sell it soon.